Homepage. This page: A rare piece of memorabilia from Aintree. 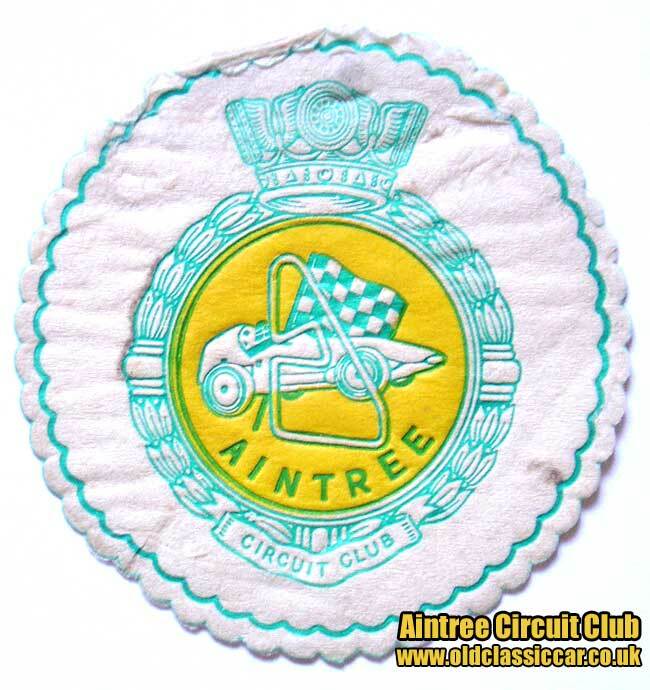 I'm not entirely sure where I found this Aintree drinks coaster - possibly on eBay - and I'd guess that it dates to sometime in the late 1950s. This unused coaster must have originated in the circuit club bar at the Aintree racing circuit. It features a classic Vanwall Grand Prix car on it, with a layout showing the Aintree course, alongside the existing horse racing track. This circuit, located not far from Liverpool, hosted the British Grand Prix in 1955, 1957, 1959, 1961 and 1962 (alternating with Silverstone). The first event was the '55 Grand Prix, where (both driving for Mercedes Benz) Moss and Fangio vied for the lead, the British driver taking the chequered flag with his team-mate in close attendance. The Vanwall, as depicted in the coaster shown above, won the 1957 event.